During an Apprenticeship Programme you will be employed full-time by a Westrow salon or an independent salon we work closely with. This means that you will carry out the majority of your training ‘on-the-job’, allowing you to build up realistic commercial experience. WHERE WILL I LEARN AND HOW WILL I BE ASSESSED? The majority of your learning and assessment will take place at the salon, in dedicated training sessions with the Salon Based Trainer. You are also required to attend Westrow’s Academy for two days each month for practical and theory training sessions, training demonstrations and online testing. You will then have progress reviews every ten weeks at your salon, with your Salon Trainer and a representative from the Academy. Apprenticeship programmes usually take 18 months to achieve. 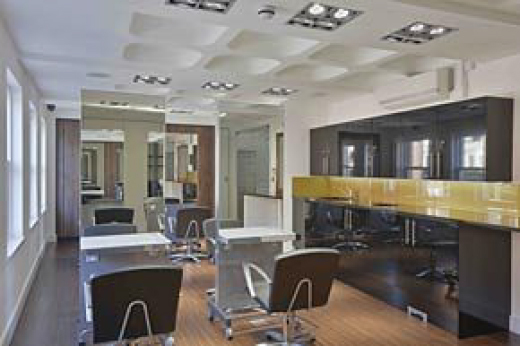 However, there is a 12-month option for those with prior learning (NVQ Level 1) and/or hairdressing experience. The course starts in September each year. From the 1st October 2013, a National Minimum Wage (NMW) for apprentices has been introduced for young people aged 16-18 and those aged over 19 in the first year of their Apprenticeship. The new rate is £3.30 per hour. The new NMW applies to time spent working as well as time spent training, as this is also part of the Apprenticeship. Anyone not covered by the age category above will be entitled to the NMW appropriate to their age. You will work a minimum of 30 hours a week (maximum 40 hours a week/8 hours a day if under the age of 18) with 20 days paid holiday per year, plus eight Bank Holidays. WHAT WILL I LEARN ON NVQ LEVEL 2? 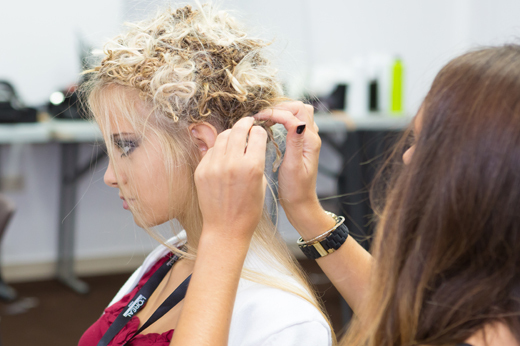 Once you have achieved your Apprenticeship (or an NVQ Level 2 from a college), you can go on to do an Advanced Apprenticeship, during which you will achieve a City & Guilds NVQ Level 3 in Hairdressing and Functional Skills. Modules at this level include: -• Further Client Consultation • Advanced Cutting Techniques • Creative Colour • Colour Correction • Creatively Dress Long Hair • Artistic and Creative Interpretation • Further Health & Safety • Individual & Team Development • Promoting Additional Products and ServicesThe Advanced Apprenticeship usually takes 15 months to achieve. However, there is a 12-month option available, depending on the candidate and/or salon requirements. This course has two intakes, in April and September each year. Preferred GCSE Grades A-C in Maths, English and an Art/Design related subject. Completion of NVQ Level 1 in Hairdressing, work experience or Saturday work in a salon is an advantage. On the whole however, success depends mainly on a salon interview.Training on the Apprenticeship Programme for 16- to 18-year-olds is a priority and fully-funded by the Government. Training for Apprenticeships over this age is part-funded, with employers expected to make a part or full contribution. WHAT HAPPENS ONCE I QUALIFY?